During a recent interview, Ms. Dawn Rosarius, USAMRMC Principal Assistant for Acquisition, provided an interesting perspective on her new role and the future of the USAMRMC. 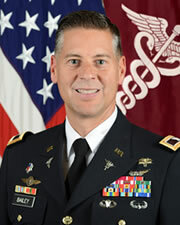 The U.S. Army remains strong and unwavering because its principals have never changed. In recognition of Women's History Month observance throughout our nation, the U.S. Army Medical Materiel Development Activity hosted a special gathering to honor the contributions of our world's women, past and present. Military officers with the U.S. Army Medical Materiel Development Activity practice their shooting stance at Heritage Training and Shooting Center in Frederick, Maryland. 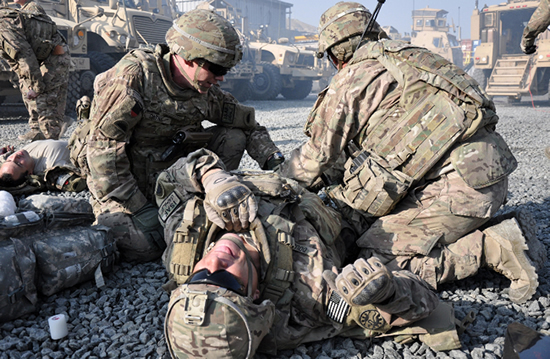 The mission of USAMMDA's NPH PMO is to rapidly develop and field, across the continuum of care, FDA-approved medical solutions for neurotrauma and psychological health conditions such as TBI and PTSD. 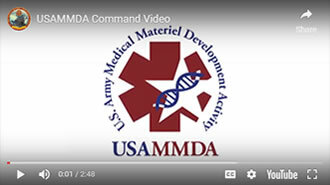 Welcome to the U.S. Army Medical Materiel Development Activity website. Thank you for your interest in the USAMMDA. Through regular installments of the Commander's Blog, we hope to share with our readers information regarding our command's achievements, team members, policies, newsworthy notes, and timely material that may enlighten us all. By engaging a wide audience, we hope to broaden the awareness of our tremendous mission to protect, treat and sustain the health of our Service Members throughout the world. VISION: USAMMDA is the premier developer of world class military medical capabilites. ETHOS: UNITED in Service to our Nation’s Warfighters. SHARP Office: 243 Beasley St.